I am walking along the local road. Trying not to step on dead insects lying on the verge. Their frozen bodies destroyed by cars are everywhere. Emerald beetles, dragonflies and ladybugs. Nobody even cares they also had friends and families. Maybe they are still looking for them, not knowing their sons, wives or lovers are all alone, being only a part of the insect cemetery. 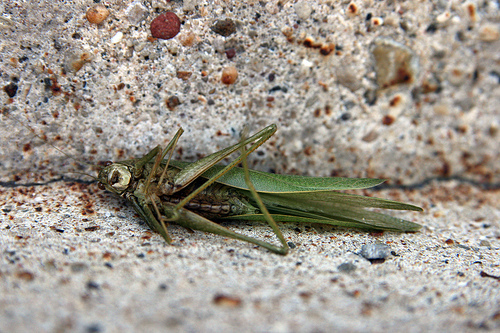 This entry was posted in insect, inspiration, life, nature and tagged death, insect, life, nature, philosophy, thoughts. Bookmark the permalink.